After the joy of the wedding day, the bride and groom can relish in the memories of a successful wedding and of how much fun they had. If you're like most couples, you're thinking that the day went by in the blink of an eye and you're wondering, "How did the time really go so fast? We were just planning it and now it's!" After the excitement settles, aside from your memory, there are only three, tangible items that reminds you of the people that came out to celebrate with you, what really happened, and how it happened. 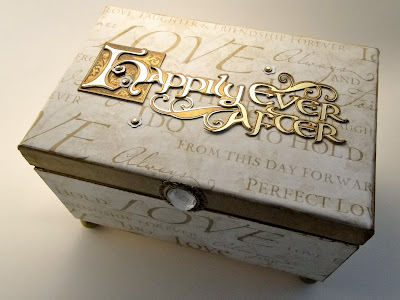 Those items would be the guest book, the photographs, and the video, providing that you chose to hire a videographer. Let's say that you did have all three; amazing photographs, an awesome video, and a guest book. Photographers can do some amazing things with a photograph and videos have now become wedding movies and movie trailers. Why can't you have something more than a simple book for your guests to sign? Guests love to let you know that they were there. In fact, they're quite eager to do it. Why not make it a little more exciting for them to do, while in the moment, and exciting for you after the honeymoon? While searching for some alternatives, I came across some great options. Make the signing interactive for your guests and have them sign a puzzle piece. When you return from the honeymoon, put the puzzle pieces together. You can then frame the puzzle and display it in a common area. If you prefer to have hand written notes on pieces of paper, why not have your guests write notes and leave them in a custom keepsake box. This will allow you to still read them after your honeymoon and still keep them preserved for later reading, time and time again. You can also use the box to write a letter to each other and read during moments when you have to remind yourself how or why you fell in love. No matter what you decide to do, do whatever makes you happy and whatever is uniquely you! Happy planning! !